Many couples in the United States are unable to have children of their own, for a variety of reasons. Depending on the specific situation of the couple, some use a gestational surrogate, where another woman carries a child that shares genetic material with the couple, and then surrenders parental rights. Others use sperm donors and carry the child themselves. If you do use a sperm donor, or you have served as one in the past, you should be aware that your rights are fairly well protected in the Sunshine State. Florida law sets out a surrogate or sperm donor’s rights and responsibilities reasonably clearly, stating that anyone who acts as a donor of genetic material (sperm, eggs, or anything else) “shall relinquish all maternal or paternal rights” to any child that results, unless the proper adoption paperwork has been signed before the child’s birth. A statute also exists stipulating that a gestational surrogate who shares no genetic material with the couple will also relinquish any rights that may manifest after she gives birth. However, the wording of this statute is geared toward those who wish to try and retain parental rights – in other words, those who might act affirmatively to keep them. Though there are certain spots in the relevant statute that might be open to interpretation, Florida jurisprudence has decided a handful of cases dealing with the rights of surrogates and sperm donors that effectively establish the public policy of the state in this regard. The case of Lamaritata v Lucas (2002) crystallizes Florida’s approach. Plaintiff and defendant agreed to an insemination agreement, with clear stipulations that no parental rights would attach to the donor if childbirth resulted. He filed for paternity affirmatively, and won the right to visitation at the trial court level. On appeal, however, the court held that the trial court had made a mistake in awarding visitation, because “a person who provides sperm for a woman to conceive a child by artificial insemination is not a parent.” There is no relationship established, no evidence to support any allegation that the two were a commissioning couple (a couple that enters into a surrogacy contract) – and even if any of those factors are present in your case, case precedent holds that “Florida courts do not recognize a claim for specific performance of a contract for visitation in favor of a non-parent.” In other words, a sperm donor cannot attempt to sue to force visitation, because he lacks standing to do so. If a sperm donor is not a parent, no duty of support is owed to the child in question. Surrogacy and artificial insemination laws in Florida are very complex, but this one is crystal clear. 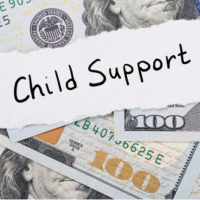 If you are being sued for child support, having an attorney on your side can be a big help. The dedicated Hollywood family lawyers at the Law Offices of Steven A. Mason, P.A. are happy to sit down with you and try to work out a plan of attack. Contact the Fort Lauderdale and Hollywood Law Offices of Steven A. Mason, P.A. for legal advice at 954-963-5900 or leave a message online.